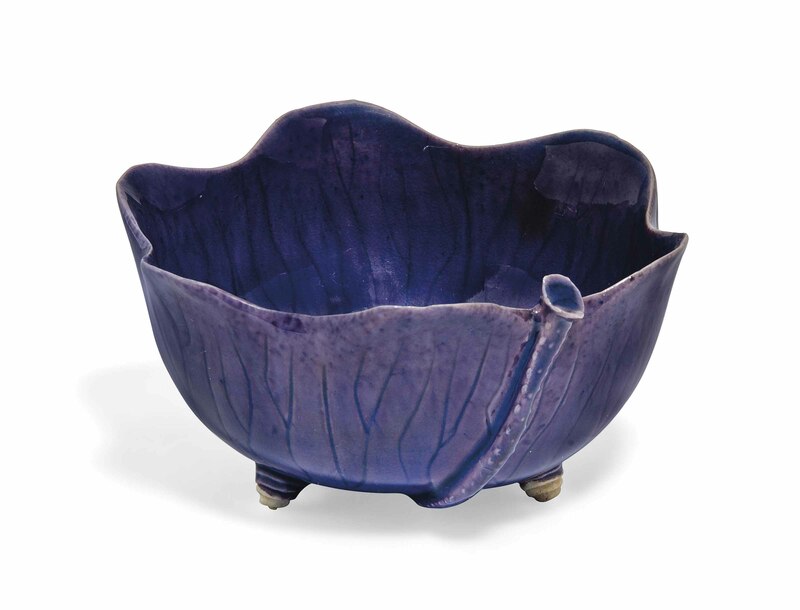 It is modelled in the form of a lotus leaf and is supported on three small feet. The leafy veins are finely incised and a textured stalk is applied to the underside. A warty toad is applied to the well of the interior. 3¼ in. (8.4 cm.) diam.